During his childhood years, he appeared in several Disney Channel movies, including Buffalo Dreams and Eddie's Million Dollar Cook-Off. During the early 2000s, he also guest starred in episodes of Zoey 101, Medium, and Law & Order: SVU, among other series. He made his television debut at the age of eight in an episode of the NBC series Profiler. He appeared with William H. Macy and Milla Jovovich in the 2010 film Dirty Girl. He spent his early years in Baton Rouge, Louisiana alongside his sister Olivia. In 2011 he married Kristin Moore. 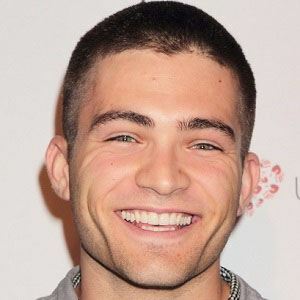 He acted with Teri Polo in a 2014 episode of the TV series The Fosters.